Accommodates youth groups with a min. of 25 people as well as youth groups of up to 100 people (max of 80 children). 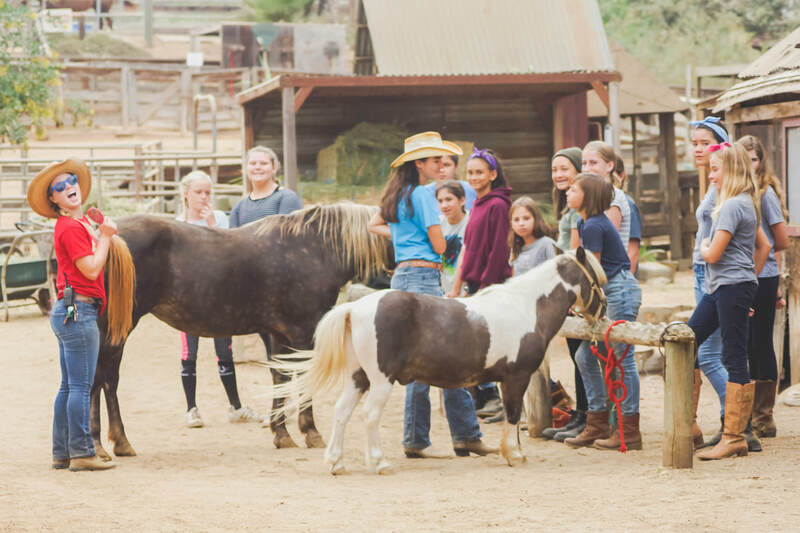 Program includes a 2 night stay at the ranch with 6 meals, classes in animal and horse science, vaulting (gymnastics on horseback), riding instruction, animal care time, plus evening activities, campfire and much more. Min. age requirement 7 years old (due to insurance reasons this is not flexible). Because the riding and vaulting classes are exclusively for the students/children, we offer a discounted rate for adults; 2 faculty/adult chaperones at 1/2 price PLUS 1 adult for every 10 students also 1/2 price. Adults Do Not Ride. Girls/Female Chaperones and Boys/Male Chaperones are divided up into separate housing areas. Final group size determines cabin assignment. Cabins are outfitted with wooden bunk beds/covered mattresses and overhead lighting. The modern shower/restroom facilities are located immediately adjacent to the housing areas. Arrival – 11:30 am on Wednesday (bring sack lunches; we do not provide lunch on Wednesday). Departure – After BBQ Lunch on Friday (around 1:30pm). A 10% or $250 Non-Refundable Deposit (whichever is greater) and signed contract are due within one month of scheduling. The deposit is based on your estimated number of students + adult chaperones (including faculty and parents) and is applied toward your total balance. Reservations will not be considered confirmed or held until the deposit and signed contract are received by Rawhide Ranch. User groups guarantee minimum payment of 90% of the total balance due if head count drops below 10% of their originally reserved number of spaces. The final balance & confirmed head count (number of students + teachers/chaperones) will be due 14 days prior to arrival date. The group’s reservation must be made under the auspices of a sponsoring organization (i.e. School, Church, YMCA, etc.) who must provide the necessary Certificate of Liability insurance paperwork. In the event a check is returned due to insufficient funds or any other reason, a fee of $25 will be added. Liability Release Forms are required for all children & adults attending (parent/guardian to sign for minors), regardless of age, participation, etc. Signed release forms must be turned in upon arrival. 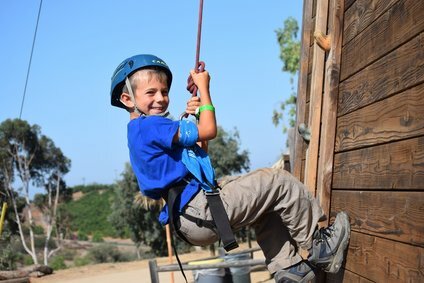 Liability Release forms will be emailed to the school 1 to 3 months prior to the arrival date, to be printed by the school and passed out to each participant and adult chaperone.